Movements are very important for skiing and ski instruction because this is what we do: we move! While some talk about skills and other concepts, in the end skiers move and knowing how to move is obviously critical to learning effective skiing and developing skills. The photo above shows pretty much all movements relevant to skiing, being coordinated simultaneously. These movements can be categorized in several ways. While skiing is certainly composed of all these movements and a deep understanding of skiing cannot be achieved without a certain level of understanding of the low level movements, instruction cannot be based on these. 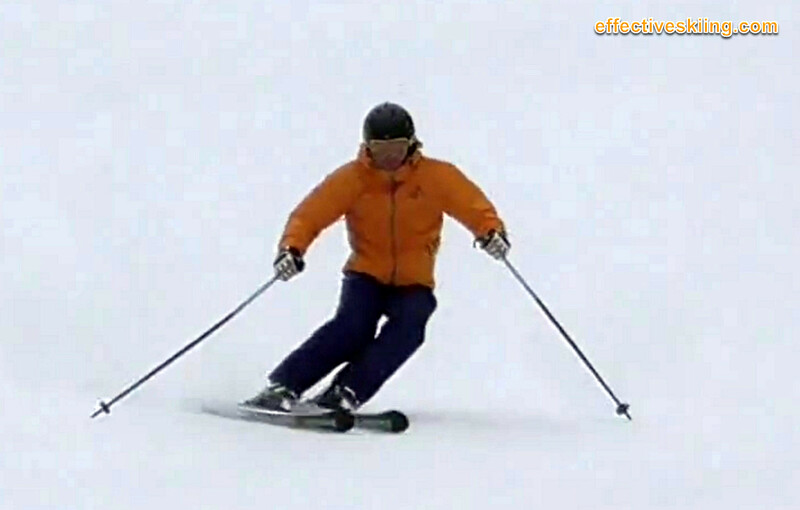 These low level movements then can be combined in different ways, to create higher level movements that skiers can focus on and, while certainly mentioning these low level biomechanics, we focus instruction on the higher level movements and generally let the brain figure out the low level components, which we tend to refine in time. Viewed 163 times ( | Print ) this page.